Catherine Verschoyle was an artist and photographer who used her privileged social status and photographic skill to aid less fortunate families affected by the Crimean War. Catherine was one of the first women to join the Photographic Society in its inaugural year of 1853. Catherine Curtis, eldest daughter of Thomas and Catherine Curtis, was baptised on 2nd May 1800 at All Saints Church, Southampton. Catherine’s father was described as “Thomas Curtis Esq of Bath and of Mountown, in the County of Meath”. On 20th August 1824 Catherine married Dublin barrister Robert Verschoyle in the parish of Bathwick, Somerset. The Verschoyles had settled in Ireland, descendants of the Dutch Verschuijl family. Robert and Catherine’s forty two year marriage was shared between residences in Kilberry, Co. Kildare, Ireland and Eaton Square, London. Three sons and three daughters arrived between 1825 and 1842. Their first son James Augustus died in 1839 at the age of fourteen, attending Eton College  But tragedy had already struck the Verschoyle family with the early death of their second son Henry Marcus in 1832 at the age of five. Georgina Frances was born in Ireland, census documenting her birthplace as Dublin in 1829. In January 1833 Henry William was born, Catherine circa 1838 and Augusta in November 1841. Catherine became the sole female photographer to exhibit her work at the 1857 Manchester Art Treasures Exhibition, the largest display of artworks ever held in Great Britain. 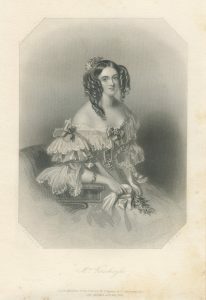 Catherine exhibited an additional twenty photographs in Photographic Society exhibitions between 1854 and 1863. In 1851 Catherine’s son Henry William Verschoyle joined the Grenadier Guards, rising from Lieutenant to Captain during the Crimean War. In a rare departure from landscape or photography of engravings, Catherine took the portrait of Captain Sir William Peel (1824-1858), one of the first recipients of the new Victoria Cross. The image grew in importance on Peel’s death at the age of thirty three in 1858 and appears to be his only known photographic portrait. 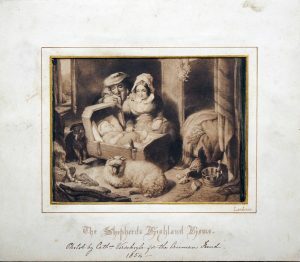 In an unusual move, Catherine’s photograph was made available for sale by Dominic Colnaghi, lithographed by James Henry Lynch and also acquired for the Royal Collection. The Photographic Journal highlighted Catherine’s 1861 Photographic Society exhibits within a group of “excellent examples from amateurs”. Complimentary critique continued in 1863 with the British Journal of Photography describing Catherine as part of “a group of landscape photographists of repute”. 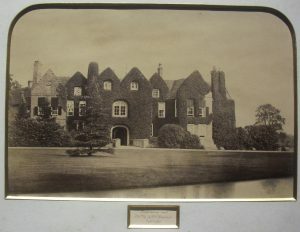 Catherine was also reported to be continuing exhibition of her watercolour landscapes in addition to photographic works. 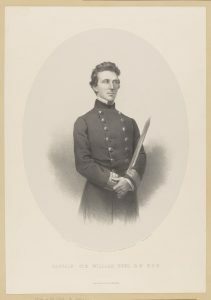 Captain Henry William Verschoyle showed talent as an artist and photographer, elected to the Photographic Society in January 1861. Catherine and Henry became the first mother and son simultaneously contributing to Photographic Society exhibitions in 1861 and 1863. 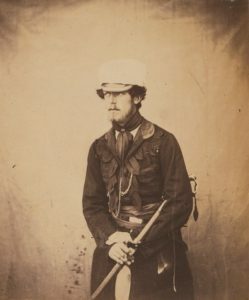 The camera had been turned onto Captain Verschoyle as part of the Crimean Photographs 1855-6 Tour, the subject of a portrait by Photographic Society founder Roger Fenton. Though wounded in 1855, Henry William survived Crimea but died at the age of thirty seven as a result of heat apoplexy during a yachting event in August 1870, leaving his wife Clara, two sons and three daughters. Catherine died on 14th June 1882 and was buried at Kensal Green Cemetery, London, reunited with her husband Robert after sixteen years as a widow. No other records for a birth of Catherine Curtis in the Southampton area was found in the city archives. In all census returns throughout Catherine Verschoyle’s life, her birthplace was listed as Southampton. Cheltenham baptisms record James Augustus Verschoyle, son of Robert and Catherine, baptised on 22nd September 1825. Eton School Lists document the death of James Augustus Verschoyle in 1839. Catherine (jun) DOB based on census and marriage information. Henry William 29th January 1833 and Augusta 2nd November 1841 from Westminster baptism records.